The Nutcracker ballet didn’t gain popularity in the United States until ten years after it was first introduced in 1944 at the San Francisco Opera Ballet. Tchaikovsky died shortly after the original 1892 production in Russia, never knowing the long-lasting impression of his work. In the early performances of The Nutcracker, the main characters were played by children. However, these roles have since been given to young adults. In the fairy tale written by E.T.A Hoffman entitled “The Nutcracker and the Mouse King,” the battle of mice and soldiers was inspired by an invasion by Napoleon. 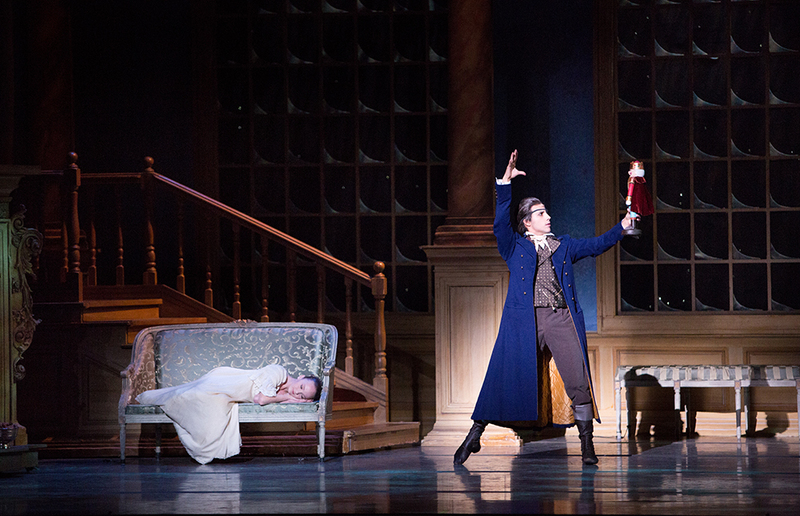 Marius Petipa, the original choreographer of The Nutcracker, reflected the French Revolution through a variety of metaphors and parables throughout his work. The heroine in The Nutcracker ballet was not always named Clara. In Hoffman’s original story, she was called Maria or Marie (her doll’s name was Clara). But in some German stories, she was named Marichen. In Russia, after World War I, she was renamed Masha. A collection of scripts made up of Marius Petipas’ choreographic notations, music, designs for costumes, theater programs and more is kept at Harvard University. Don’t miss this holiday spectacular as the stage transforms into a dreamy wonderland with 30 world-class professional ballet dancers, 150 children performing as angels, dancers, and soldiers, and more. Plus, enjoy a live musical performance by the Phoenix Symphony conducted by our beloved maestro Timothy Russell. Purchase tickets to see Ballet Arizona perform The Nutcracker live December 13-24, 2018 at Symphony Hall. Click here for tickets and showtimes.